November | 2017 | Mike Lamberti, From Margate To Cleveland, And Back ! 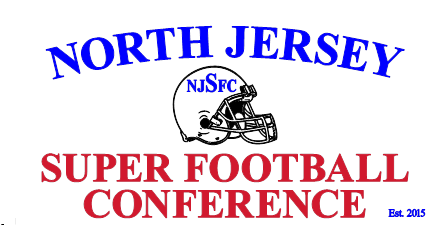 The North Jersey Super Football Conference (NJSFC) is closing in on its second full season, as the NJSIAA state championships will be contested this weekend. And the NJSFC’s president, Joe Piro, couldn’t be happier with the conference’s performance, as 16 member schools have a chance to win a state crown. 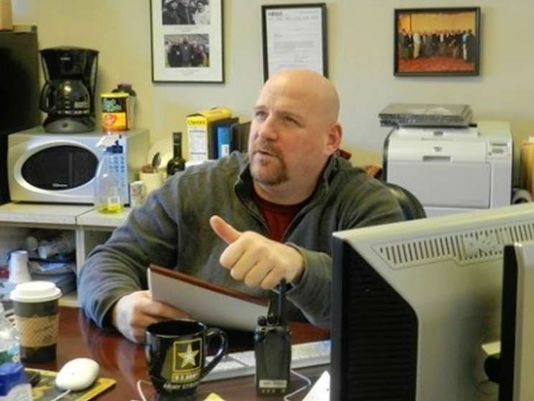 Joe Piro, here in his office at Nutley High School, has been very pleased with the progress of the new NJSFC. (Click on photos for larger images). A total of nine sectional championships are possible for the country’s largest high school football conference, with at least seven member schools assured titles, based on the matchups. Among those games are a battle for possibly the state’s No.1 team, when Bergen Catholic and St. Peter’s Prep meet at MetLife Stadium, on Dec. 1 (for the Non-Public Group 4 championship), at 8 p.m. The conference noted that Friday night’s games at MetLife, which also includes a 5 p.m. game where Union City takes on Montclair for the North 1, Group 5 title, could be one of the best nights in NJ high school football history. In addition, there are huge games for member schools on Dec. 2, at MetLife, including River Dell vs. Ramapo (North 1 Group 3) and Mount Olive taking on Old Tappan (North 1, Group 4), as well as what looks like two tremendous games at Kean University, on Dec. 2, with rivals Shabazz and Weequahic facing off at 10 a.m., followed by a Non-Public Group 3 matchup between St. Joseph (Montvale) and DePaul. Piro also noted that West Essex and Hackettstown will carry the NJSFC flag in its respective championship games against Voorhees and Rutherford. The NJSFC has 113 members, including the newest school, Sussex Tech, which will begin play in the 2018-2019 school year. Piro has long discussed the competitive balance of the league, which continues to evolve, through the work of the member school’s athletic directors. The Wayne Hills High football team once again donated turkeys to the Father English Community Center, in Paterson. The players helped load the food on Nov. 22, at the high school. Last year, the Hills football program donated 25 turkeys and this year, that number doubled to 50. While the Patriots’ season ended in the North 1, Group 4 semifinal a week ago, at Old Tappan, the team’s commitment to the needy wasn’t forgotten. Hills players donated food in 2016, as well. Click on the link, below. This year, the food was needed even more, as a fire destroyed the pantry at the Father English Community Center earlier this month. In October, the team donated to St. Joseph Hospital. Over the past year, the team has contributed its time and resources to Breast Cancer Awareness; St. Jude’s Children’s Hospital; a fun run to aid autistic children; raising money for the players to go shopping at Toys-R-Us, to pick out holiday gifts for some youngsters at St. Joseph’s Children’s Hospital, in Paterson; hurricane relief on the heels of the devastating storms this past summer, and donating money to the Health Partners Cancer Awareness Walk, with the proceeds benefiting St. Joseph Hospital, as well as funding scholarships for high school students in Wayne. And in December, the players will once again be shopping for gifts to give children at a local hospital. 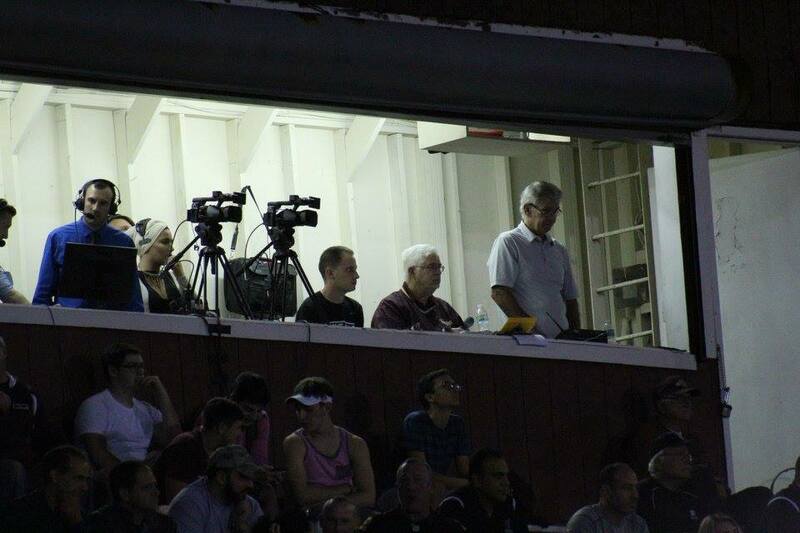 Fans of Wayne Hills football know well Ernie Mezey’s powerful voice, which has graced the public address system at home games for 18 seasons. He’s seen the Patriots win nine state championships. What many might not know is that Ernie served his country in the United States Army during the era of the Vietnam War and that Ernie’s brother, Peter, was a Captain in the Army and served two tours in Vietnam, while with the Infantry. (Peter Mezey is now retired and living in Florida). 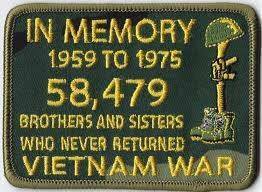 Ernie was stationed in Europe, and worked in Intelligence with the Army, but he knows full well the sacrifice of the 58,479 men and women who died in the war, from 1959 through 1975, as well as those who are still considered Missing in Action a half century later. 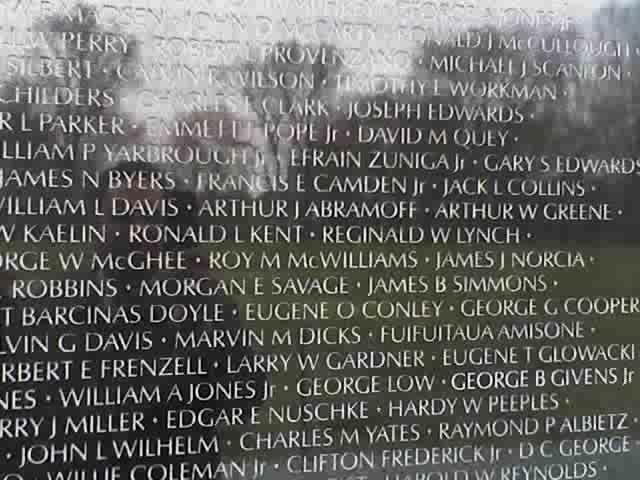 Before the opening kickoff at last Friday night’s playoff game against Morris Hills, on the eve of Veteran’s Day, 2017, Ernie took a moment to read a beautiful poem, that he had penned, of a visit to the Vietnam Veterans Memorial in Washington, DC.